In a week when Cork City was voted the third friendliest city in the world in an online poll they afforded too much hospitality, not to mention time and space on the ball to opponents Rosenborg in last night's Europa League Third Qualifying Rd Second Leg at Lerkendal Stadion, Trondheim. Going into the tie 2-0 down from last week's game in Turner's Cross, this was always going to be a tall order for the LOI champions and the concession of two goals in the first half ended any lingering hopes they might have had of causing a turnaround. To have a chance, Cork needed to hit their hosts early to put some doubt in their minds but while they did push in the early stages it was a similar story to the first leg and the Champions League exit against Legia Warsaw. Rosenborg right-back Vegar Hedenstad had a quickly taken free kick which went wide in the 25th minute and just moments later he would be involved in the opening goal. When a free kick by Søderlund wasn't fully cleared, Hedenstad retrieved possession and fed Mike Jensen, who crossed from the right. Goalkeeper Mark McNulty went for the ball but could only flap and it fell perfectly for Bosnian defender Besim Serbecic, who fired a shot through the gang of bodies and into the net. Sheppard did have a shot in response but Hansen saved and Rosenborg doubled their lead ten minutes before half-time. 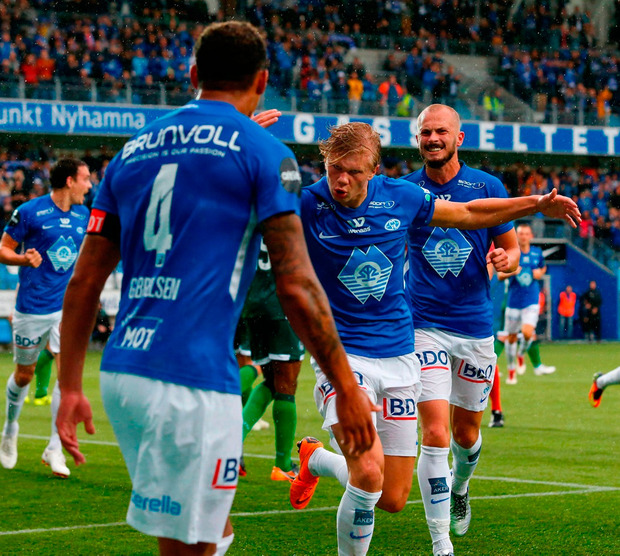 Unsurprisingly, the tireless Trondsen was at the heart of a it with a surging run which carried him into the penalty area before squaring for Søderlund to finish from point-blank range. The third goal had an inevitability about it and it came on the hour mark. Naturally, the influential Anders Trondsen was integral to it as yet another forward run yielded dividends, dummying to allowing Søderlund an easy pass into his path, with an emphatic finish beyond McNulty. Rosenborg had other chances, but they didn't need them as they cruised to victory and into next week's play-offs.